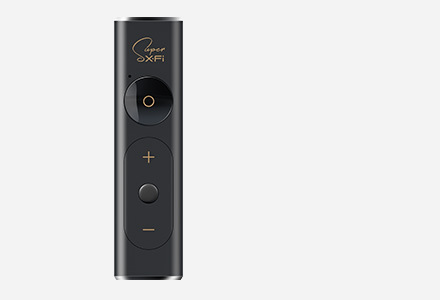 Experience the magical audio reality of Super X-Fi with the Creative SXFI AIR! This Bluetooth and USB headphone has built-in Super X-Fi technology that provides holographic audio personalized to your own ears for an unbelievable headphone experience that's as good as the real thing. The Creative SXFI AIR also boasts an SD card slot that makes it an MP3 Player, 50mm drivers, touch controls, and a customizable RGB light ring. Experience music on your headphones where audio sounds natural again, not the claustrophobic sound pumped directly into your ears. Feel as if you're listening to the recording artist in a studio! Immerse yourself in a holographic audio experience whenever you are with your headphones. Super X-Fi is capable of transforming videos into full-fledged, cinematic audio experience. USB MODE FOR PC/Mac: Because of transmission latency issues inherent in all Bluetooth devices, movies transmitted over Bluetooth will have a slight lag in the audio. The SXFI AIR features a USB mode that allows you to enjoy great latency-free Super X-Fi movies on your PC/Mac. Enjoy games with the full cinematic capabilities of Super X-Fi! The soundstage of the game opens up, presenting you with a real-life holographic audio experience, as if you were actually transported into the game environment itself. Your games will never sound the same anymore! 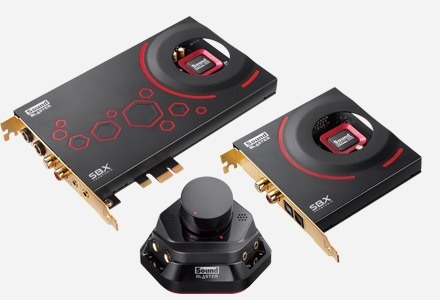 The Creative SXFI AIR's built-in Super X-Fi technology rests on its foundation of audio performance. The Creative SXFI AIR boasts 50mm Neodymium drivers that are specially tuned to deliver audio that is powerful while maintaining accuracy, an essential attribute for music and movie buffs. The Creative SXFI AIR features a NanoBoom microphone that allows you to take calls on your phone and communicate with friends. The microphone boasts the same audio recording capabilities as a full-sized gaming headset microphone, and is also detachable. Calls will never be the same again! 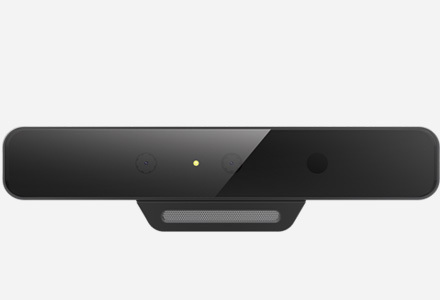 With Super X-Fi, experience the mind-bending holographic reality of the caller being in the same room as you. And with the SXFI AIR's highly sensitive NanoBoom mic, your friends will hear you loud and clear. 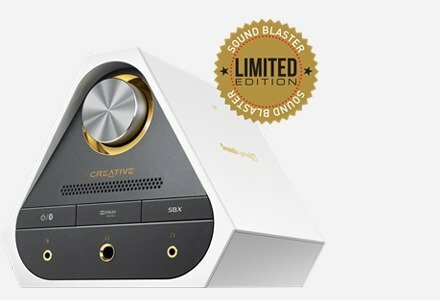 With Super X-Fi built into the heart of the Creative SXFI AIR, users can enjoy the wonder of full audio holography with music that's as good as the real thing from all kinds of streaming services. For example, you can hear old favourite tunes from Spotify in a completely new way! The Creative SXFI AIR can play music without relying on a source device. Simply insert a microSD card pre-loaded with your favourite songs into the Creative SXFI AIR and you can enjoy the wonder of the Super X-Fi experience. This advanced feature lets you enjoy the full glory of up to 7.1 Cinematic games and movies in Super X-Fi on your PC and Mac! More than that, the same USB functionality is available on the PS4 and Nintendo Switch. The Creative SXFI AIR features comfortable fabric earcups. The fabric is breathable, allowing for heat from the listener's ears to dissipate, giving you a more comfortable experience. Built-in memory foam conforms to the listener's head for additional comfort. The earcups are also replaceable, so users can opt to switch them out for leatherette earcups (sold separately) if desired. Optimized clamping force is essential when creating an incredible headset. The Creative SXFI AIR has a clamping force that is perfectly balanced, making it loose enough to be comfortable but tight enough to stay on the listeners head. Control all playback with a simple touch or swipe! 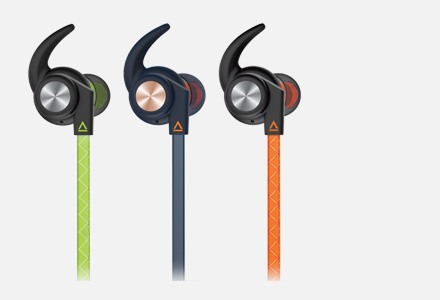 The Creative SXFI AIR features touch controls built into the left earcup, so users can answer a call, skip the song, or turn up the volume. 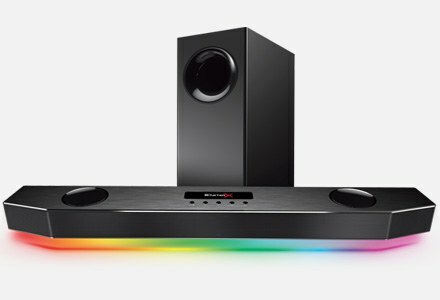 Hear your audio in a new light! With 16 million different colors to choose from, the Creative SXFI AIR with its customizable light ring can match any outfit you choose. Users can choose colors with the downloadable SXFI AIR Control app for iOS and Android. 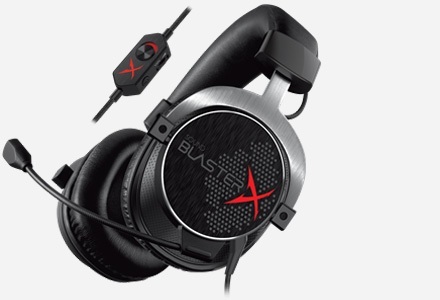 I have to say the sound quality is fantastic and the range is amazing. They block a lot of extarnal noise far more than I expected. You do seem to get a bit of dropout when using bluetooth and they do get heavy on your ears after a few hours. If they don't you will deffo feel them as the memory foam seems to store the heat. Would I buy them again, 100% far better than other headphones in their range and I also think they out proform Bose 300+ headphones.